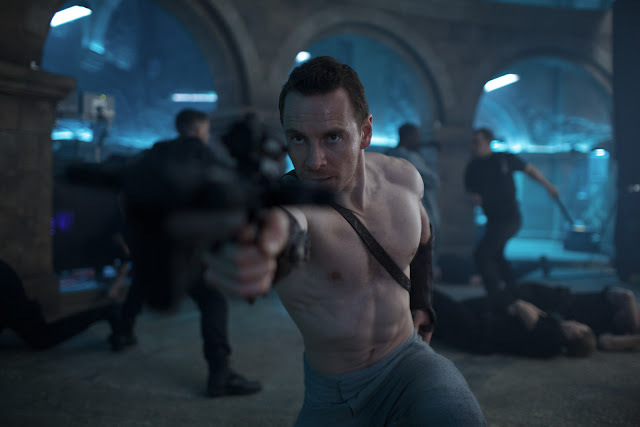 The highly anticipated death-defying and non-stop action adventure “Assassin’s Creed” starring Michael Fassbender, Marion Cotillard, Jeremy Irons and Brendan Gleeson will bring the audience to an unforgettable ride in two time periods in history. In “Assassin’s Creed,” Michael Fassbender plays dual characters as Callum Lynch and Aguilar De Nehra. When Lynch is brought into the Abstergo facility, having been rescued from the lethal injection on death row, he doesn’t know what to make of it. A foreboding, concrete structure with plenty of natural light, but no windows, it’s kind of a cross between a high-tech day spa and a prison. His fellow inmates are a ragtag bunch of souls who seem to struggle with their own mental faculties. And at the facility’s center, within the circular structure of an old church, lies the Animus, a device which will send Cal back in time to 15th Century Spain. For production designer Andy Nicholson (“Gravity”), getting the design of the Abstergo facility right was the biggest challenge he faced on the production. “In real time, more than half the script happens at Abstergo,” he explains. 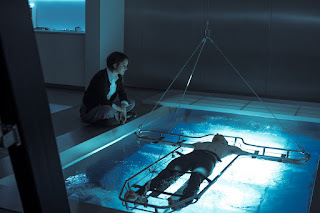 The key Abstergo set was constructed on the enormous 007 Stage at London’s Pinewood Studios, one of the biggest interior facilities in the world dedicated to film production. The entire complex is an uncomfortable clash between the present and the past, which reflects the strains Cal suffers when he is subjected to the regressions of his genetic memory. With production wrapped on the 007 Stage, much of the shoot focused on the Animus chamber set, built separately at a facility in Langley, Buckinghamshire. The Animus chamber itself is the epicenter, not just of the Abstergo site, but of the clash between two worlds. With red brick walls and a mosaic tile floor, the set also houses the highly-technical Animus machine itself, while a glass-fronted observation room pokes through the upper wall with little grace or elegance. The Animus has always played a key part in the “Assassin’s Creed” games, but it has never before been visualised like this. In the series, it is typically a chair or a bed on which subjects lie while they experience their regressions. In the film, with so much of the action cutting back to the modern period while Cal regresses into his 15th Century ancestor, Aguilar, the opportunity to imagine something grander presented itself. 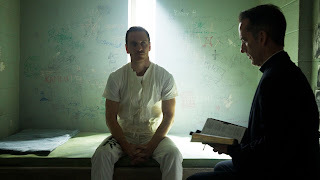 “Assassin’s Creed” opens January 8 in cinemas nationwide from 20th Century Fox. Follow 20th Century Fox (Philippines) Facebook page, 20thcenturyfoxph on YouTube and Instagram and @20centuryfoxph on Twitter.